Obituary for Eugene Julius Owes | Frank R. Bell Funeral Home, Inc.
Eugene Julius Owes was a true definition of a man . . . a man who loved his wife and cherished his family as the most important thing to him. His peace and contentment in life were made up of simply being a good husband and father. Eugene was born on June 5, 1938 to Lennie Eugene Owes and Gladys Jordan Owes. He was the eldest of his four siblings. Born and raised in Brooklyn, New York, Eugene attended P.S. 93 Elementary School, and graduated from George Westinghouse High School. He married young, the love of his life, Dolores Owes, and through their union of sixty-three years, they had five beautiful children: René Kingwood, Regina Owes, Lennie Owes, Sabrina Owes and André Owes – all better known as Dolores’ Kids. They also had bonus daughters: Andrea Rodriquez (“Cookie”) and Jeanette Goldstone. Eugene enlisted in the United States Army and served his country a short time, choosing his wife and family over the military. Eugene was committed and faithful; he was humble and full of character; a provider, and most of all, funny. Because of all these great qualities, he retired from not one career but three: Intercity Trucking Company, New York City Department of Parks and Recreation, and New York City Transit Authority. He had an outstanding work ethic! Eugene wasn’t a church-going man, but he was a believer in the word of God. He would send his sacrificial offering regularly to Good Shepherd Unified Freewill Baptist Church under the pastorate of Bishop S.N. Daughety who wasn’t only his family minister, but also his friend. 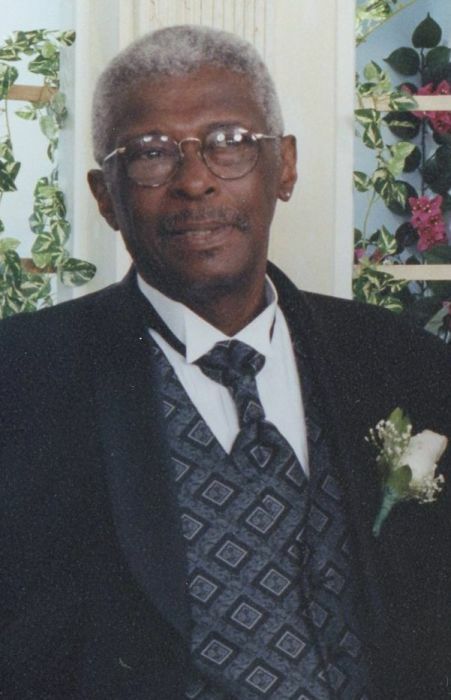 Known as Eugene to many, but “Papa” to his family, he was a quiet storm who watched and observed his family’s story from his favorite chair. From his chair, he heard all of our needs, wants, frustrations, triumphs and family discernments. From his chair, he watched and listened as we talked at the roundtable, as we all lived life and grew as individuals and as family. From his chair, he spoke to us the commands of his home, his expectations, his approvals, his disappointments, and his encouragement. From his chair, he smiled, laughed and joked with us, occasionally tuning out the noise of his forever-growing brood. But most of all, from his chair, he watched over his greatest fortune . . . his family. He positioned himself to be front and center in all of our lives. Papa had his own personal relationship with all of his children and grandchildren. His most tangible relationships were with his granddaughter Kiana and great-grandson Josiah. He invested and supported Kiana’s dream to create a life legacy of KATIE O’S RESTAURANT. He nurtured Josiah with an unbreakable friendship, demonstrating all the qualities of a “best friend”, and the teachings of being a great man. He will forever be missed by us all. He loved us, but he loved and missed his wife more, so he slowly said goodbye on Wednesday, October 17, 2018. Those who were awaiting his arrival are: his wife Dolores Owes, his granddaughter Jennifer Rice, his grandson Samir Owes, his father Lennie Owes, his mother Gladys Owes, his brother Richard Owes, Sr., and his sister Christine Owes. Eugene leaves to cherish his memory, his children: René Kingwood (and her husband Joe Kingwood), Regina Owes, Lennie Owes (and his wife Wanda Owes) Sabrina Owes and André Owes (and his wife Lisa Owes); his grandchildren: Tasheena Norfleet, Kiana Muschett, Victoria Allen (and her husband David Allen), Lennie Owes, Jr., Tyril Jarvis, Dominique Owes, Kaimondre Owes (and his wife Terraela Owes), Alvida Pegues, Alvin Pegues, Danielle Powell, Danielle Owes, Laurisha Cooke, Laron Owes and DeAndre Owes; great-grandchildren: Takia Graves, Josiah Miller, Ava Pegues, Angelina Allen, DeAndre Owes, Jr., Bryson Whitney, Anthony Allen, Brooke Riley and Itrell Owes; his sister Audrey Owes (whose husband Fredrick Owes predeceased her); and host of nieces, nephews, cousins, other relatives and friends.